Tom Aikens has created a number of fabulous recipes using Borderfields Cold Pressed Rapeseed Oil, and uses it in his restaurant kitchens as well as at home. 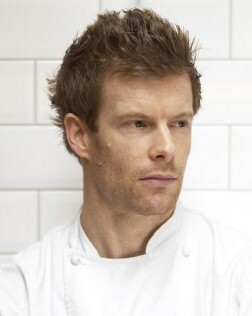 Tom Aikens is undisputedly one of the most exciting chefs in the UK. Although he has been cooking since the age of 16, it was when he launched his own eponymous restaurant in London in April 2003 that he truly sealed his culinary reputation. Over the years, his career has taken him to the likes of David Cavalier’s in Battersea, Pierre Koffman’s La Tante Claire, Pied-a-Terre and Joel Robuchon in Paris. Aged 26, Tom became the youngest British chef ever to be awarded two Michelin stars. He also oversees three other restaurants abroad in Hong Kong and Dubai, including The Pawn, Pots, Pans & Boards and The Fat Pig.